Significant numbers of visitors have flocked to the new Lascaux cave artwork exhibition, Lascaux IV, despite some criticism of the centre. 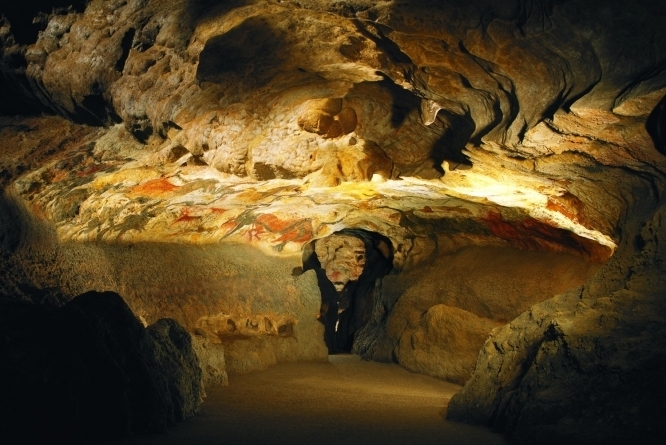 The famous attraction, which is in Montignac in the Dordogne (Nouvelle-Aquitaine), opened its new international centre for prehistoric art, Lascaux IV, six months ago, seeing an average of 3 300 visitors per day. Since December 15 last year, 260 000 people have visited. However, the visitors’ centre has also attracted some criticism, with visitors complaining of too much noise in the cave, due to the number of guided tours inside. Tours begin once every six minutes, each done in several stages, including ‘contemplation’ of the artwork first, and explanations given afterwards. One online TripAdvisor review of the visit explains that the number of guided tours caused “echoing inside the cave, which made some noise”, while others have called the site “disappointing”, “frustrating”, and a “tourist factory”. An article on the France 3 newspaper website called the cave “a victim of its own success”. The Lascaux visitors’ centre also offers tours of Lascaux II - which includes some of the most impressive prehistoric cave paintings on site - as well as the animal-focused Thot Park, and the ‘Big Rock Cave’ (Grotte du Grand Roc) and the Laugerie Basse shelter, which is said to show evidence of human life as far back as 15 000 years BC.